Hi iwanttobelieve, I totally agree with you regarding your friends spiritual encounters prior to having her sighting. From my own experiences I also have experienced quite a few psychic or spiritual events throughout my life but mine started with my sighting which I think opened my mind & intuition up to the future experiences I have had since the age of 8 or 9 years old (now a very young 30 something). I also think the unexplained fear/dread that everyone feels is their intuition alerting the person to the lurking or possible danger/accident (I thought this was going to happen to me ) etc, but the the problem is that most people's consious thought takes over and usually 'rationally' talks them out of this warning. I'm a big softy and 'feel' sometimes too much but I have no doubts that all of my experiences have helped strengthen me for life's surprises and it would be reasonable to expect all earths lifeforms e.g bugs, animals, yowies etc to have these same basic 6 senses the same as us, we are all born with this but as Dean said yowies aren't pre-occupied like humans with life's c--p therefor it would be reasonalble to conclude theirs is far more honed in their enviroment than ours. I learn't the hard way (oh the blessed stubborn young years) not to ignore these warnings/feelings whatever you call them and I've surrvived so far. By the way my fav saying to friends - is I told you so LOL. I agree that intuition is a 6th sense that we don't fully understand but are all aware of on some level. I think all animals relate to each other as part of day to day survival between predator and prey. In the Top End people always talk about that "feeling" of being spooked around waterways. The general agreement is you always assume there's a croc nearby. You don't bother trying to look for it, you just leave and the bad feeling goes away. I think this applies to predatory animals in particular so it doesn't surprise me if Yowie's can make their presence felt. Would you mind sharing your experiences? I used to live at Wellington so it would be good to hear some stories from that neck of the woods. Hope you have some luck around Mudgee. Enjoy the local wine! iwanttobelieve wrote: Thanks for sharing Natty. homerbear wrote: it has proven on many times that it has exceptional abilities in camouflage, stealth, being to move without virtually no sound even for size they attain, and they were taught this as soon as they could walk, all military special forces units worldwide would die to be able equal their ablities, they the Yowies have doing this for hundreds of years. I have witnessed this exact behavior, the Yowies seem to behave as one cohesive unit almost exactly like a special forces unit. They have an awesome array of skills especially in regards to the living in the bush. They also seem to be able to communicate with each other with either very little or no sound. I have also had some weird experiences or really strange vibes when in the vicinity of Yowies that I've never experienced anywhere else, it's kind of hard to explain but the easiest feeling to explain is a sense of dread or a sense to get the hell out of here! Some of the so called paranormal behavior can be explained due to their physical abilities, but not all of it, it is entirely possible that they do have some amazing abilities just like some humans, we all have a lot more than 5 senses - see attached pic. IMO, you will eventually figure out that they not only read each others thoughts, but they are going to read your tiniest thoughts as well. Assuming you don't want that to happen, you might try practicing thinking about absolutely nothing. Which means no plans, no schemes, no strategy, no tricks. Or you might try thinking of something that will be to your advantage. In that case, you just say a word or phrase over and over in your mind, that may be of benefit to you. Like "you are safe", or "I am a friend", or "I guarantee your safety". And then, don't make a liar out of yourself. themanfromglad wrote: IMO, you will eventually figure out that they not only read each others thoughts, but they are going to read your tiniest thoughts as well. Assuming you don't want that to happen, you might try practicing thinking about absolutely nothing. Which means no plans, no schemes, no strategy, no tricks. Or you might try thinking of something that will be to your advantage. In that case, you just say a word or phrase over and over in your mind, that may be of benefit to you. Like "you are safe", or "I am a friend", or "I guarantee your safety". And then, don't make a liar out of yourself. 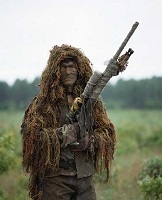 TMFG, You shouldn't confuse the ability to be quiet or stealthy with the paranormal, I grew up in the bush and I am quite capable of moving through the bush without being seen or heard(just not as fast as the Yowie for sure) I have been tracking Yowies for many years and I am almost certain that Yowies do not read our minds, so all that thinking other thoughts is a waste of time and energy. I am pretty sure that Yowies can sense intent just like you and I can, humans and many other creatures have the ability to sense the intent ill or otherwise of other beings. I have also worked with animals for many years and it is obvious that humans and animals alike have this ability, but I don't believe that it is a super natural ability, I just think it is a manifestation of using our combined senses for self-preservation. I'm not saying it can't be done or that Yowies can't do it as I've seen it done before by humans, I'm just saying that I'm almost certain that Yowies don't do it. Just to be clear, I am not however discounting the possibility that they can communicate telepathically, as I have had many experiences of this amazing phenomena with other humans and animals alike. Also no plans, no schemes, no strategy, no tricks = no Yowie research, and thinking about nothing is actually a lot harder than you realise(if you've ever had an EEG while trying that trick). What do you hope to learn and/or accomplish with your research? That is a very good question, I just simply hope to gain a greater understanding of this elusive cryptic creature known as the Yowie, also when researchers compile enough empirical evidence of the Yowies existence, I hope that we can have the Yowie protected as a species. The more we know our world, the more we know ourselves. If you believe humans have psychic abilities, isn't it logical they might as well, especially if you believe they might have a tie in to human origins. Its a logical leap is it not. It would be a handy tool to hone in the woods to stay hidden. mlj1mlj1 wrote: If you believe humans have psychic abilities, isn't it logical they might as well, especially if you believe they might have a tie in to human origins. Its a logical leap is it not. It would be a handy tool to hone in the woods to stay hidden. "Some of the so called paranormal behavior can be explained due to their physical abilities, but not all of it, it is entirely possible that they do have some amazing abilities just like some humans"
"Just to be clear, I am not however discounting the possibility that they can communicate telepathically"
I am also pretty sure that Yowies can sense intent just like you and I can, I just don't believe that they read our minds when we're in the bush doing Yowie research, as no one would be able to know anything about them, get close to them or get photo's of them as they would know what we're thinking and react accordingly to avoid us completely. Based on my field observations, there exists little paranormal forest people that have all the abilities of the big paranormal forest people. They just come in closer. If you were to travel to Iceland for instance, and proclaim that you have discovered little paranormal people of any type, you would not get anybodys attention. Why? Because the Government of Iceland, plans highways and developments, so that they do not encroach on areas where the little paranormal people have been observed as living. Which means, instead of being nuts for believing in little paranormal people in Iceland, you would be an outcast for not either believing or knowing that the little paranormal people exist. And so, this all leads to the hard question, can both the Government of Iceland and the disbelievers of paranormal people, both be right? IMO, the short answer is No. I have never heard a flesh and blood believer explain how large flesh and blood people can live in cold climates like Canada in the winter, given their caloric intake requirements to generate enough heat to keep from freezing. The Fred Beck story and the Mt. St. Helens Ape Canyon, describes footprints that appear in the middle of a large sandbar, with no trailing coming or going from those prints. themanfromglad wrote: The Fred Beck story and the Mt. St. Helens Ape Canyon, describes footprints that appear in the middle of a large sandbar, with no trailing coming or going from those prints. Perhaps the water level rose, washed away the lower lying prints and when the water receded, viola, it left the prints in the middle of the sand bar but the prints leading to and from them were no longer visible. Everyone should watch this episode. I always though mediums had nothing just like Jason and Grant. Watch this guy named Dr. Ellis on a thermal manipulate his aura or something. He is doing something I can't do or don't know how to do. The truth is the Sasquatches have done things to our group members we don't understand. This is a plausible, viewable and measureable explanation something more is going on for some of us. Its season two episode 13 of Ghost Hunters. The Ape Canyon Creek is no more than a mile long. If it rained at one end sufficiently to raise the water level, then the same rain most assuredly would have also washed away the presumably crisp footprints at presumably the other end. There are lots of stories of tracks beginning and ending in snow. Same deal. Track lines do not go on forever. If they did, then a good tracker could follow them to the perpetrator. Since that has not been done, then a paranormal explanation becomes a more realistic explanation, IMO. Bigfoot leaves something under the Christmas tree for everyone. For those who are intellectually weak and closed minded, who follow the mediocre herd, and often seek to discriminate against the open minded and observant people in this world by say, either making or keeping them unemployed, Bigfoot is both quiet and invisible most of the time so that those weak people can live in denial of their existence. (They probably don't perceive themselves as weak, however.) Otherwise, they would live in fear of their existence, since society inadverantly keeps them in fear through keeping them ignorant on the subject matter. 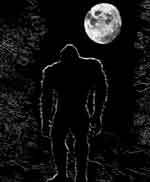 IMO, all English speaking governments are well aware of Bigfoot/Yowie as being a real but paranormal phenomenon, but are all officially silent on the subject matter. Why? IMO, because they know that due to the wide range of intellectual quotient possessed by their citizens, a large percentage will flip out if the government actually told the truth. (They may cry, as has been discovered from government experiments in the 60's.) Consequently, the governments remain silent so that only the higher IQ persons who took a stance for the truth, are discriminated against by society. It is a form of reverse discrimination where the higher I.Q. and competent observers, become the outcasts, IMO. For the observant, Bigfoot remains invisible but makes familiar noises in order to get the attention of the trained observer. Bigfoot likes to make new friends. For the trained observer that they don't like, all of the paranormal forest people, both large and small, work together to keep that observer in a cone of silence. The paranormal forest people are experts at knowing how well or poorly humans can hear, and how far their own sounds will travel. Outside of that cone of silence, the paranormal forest people are carrying on normally. Inside of the cone of silence, they practice strict noise discipline. Once that observer finds himself in that cone of silence, as often happens with the Finding Bigfoot Team, they give up and go home. By using extremely powerful recording equipment and placing them outside your vehicle, while you sleep inside of your vehicle at night, I predict that you will see what the normal noises are in the forest. And also get a feel for the large numbers of paranormal people that there are, who all primarily exist in another dimension. Whose very existence that science remains completely silent on, otherwise those scientists will most certainly find themselves in the unemployment lines, or on the receiving end of a frivolous lawsuit filed by unconvicted criminals, as well. Free speech may be a right in some countries, but you may have to pay severely to practice it. Even a democratic society, has many corrupt aspects. Discrimination against scientific obersvers, IS CORRUPTION. themanfromglad wrote: I have never heard a flesh and blood believer explain how large flesh and blood people can live in cold climates like Canada in the winter, given their caloric intake requirements to generate enough heat to keep from freezing. Not to mention their pelt or coat that covers 95% of their whole body and would provide perfect isolation, their epidermis would also be thicker, more akin to the great apes and less susceptible to the weather compared to our soft human skin. Even though I believe they don’t make fire, I’m certain they make use of natural caves, shelters and caverns which would provide warmer temperatures compared to exposed landscapes and harsh elements. I have had experience in this before near the Snowy Mountains long ago when our company was 'navigationally embarrassed' and couldn't make it back to camp - we kept a number of us from freezing without fire and using only the bush. IMO, they roam large areas in the wilderness that could be as wide as hundreds of sq. kms, however i believe they return to 'known areas' like caves, caverns or shelters which would mean they are rarely out in the harsh weather if they didn't wish it. As for the calorie intake – there is plenty of game in the forests to sustain an animal the size of Yowie/Bigfoot. I believe their intelligence and ability to hunt in pairs or trios gives chosen prey little chance against them, not to mention they are all most likely omnivorous also. It’s easy to explain the flesh and blood theory. The worst oversight a non-flesh and blood believer could do is base their disbeliefs on comparing them with human limitations. They are not humans and have physical abilities far beyond our limits. I'm assuming you'd find it harder to consider that they make clothing from animal skins or utilise some sort of hibernation than to believe they turn invisible. The Ape Canyon Creek is no more than a mile long. If it rained at one end sufficiently to raise the water level, then the same rain most assuredly would have also washed away the presumably crisp footprints at presumably the other end. Well they say it happened in 'a little creek near pumy butte'. No, if it rained, the water level would rise. If it rained the right amount, it would have washed low lying prints away leaving the higher prints intact. They describe the site as 'a moist sand bar' which suggests that the area was close to the water line and would therefore not need much water for this to occur. If I hear a bird but I can't see it, is it in another dimension or is there a simpler explanation? By using extremely powerful recording equipment and placing them outside your vehicle, while you sleep inside of your vehicle at night, I predict that you will see what the normal noises are in the forest. Absolutely brilliant! I would never have guessed that placing recording equipment in the forest would result in the recording of normal forest noises. Excellent, insightful prediction that is. Whose very existence that science remains completely silent on, otherwise those scientists will most certainly find themselves in the unemployment lines, or on the receiving end of a frivolous lawsuit filed by unconvicted criminals, as well. Yes, if they espoused ideas like yours with no evidence or precedents and used obscure texts by Romanian computer engineers as their source of information then they would quite rightly lose their jobs for failing to follow the scientific method which they are employed to do. On the temperature thing, -20 is no issue for them. Its that cold right now in Colorado with a polar vortex in from the north. A few years back I was up in one of my areas to collect stealth cameras in -20 below temperatures. We found foot prints which followed two elk for a mile or so and stopped on a rock covered with ice and snow. The Sasquatch laid on right the rock in the ice and snow. You could see part of its out line. It was so weird we walked over part of it before we realized what we had. We believe they may have an under coat. Cold based on my experiences is no issue. It was -20 degrees here last night. Yet, they live on just like the Elk, the Deer and the Caribou. I submit these and the following comments by FM80, as absolute and final proof that FM80 continues to be antagonist and belligerent. In his first paragraph, he "if's" his way to some faulty reasoning that naturally supports his inability to discuss in a mature manner, the controversial topics that this forum is specifically reserved for. If I hear a bird but I can't see it, is it in another dimension or is there a simpler explanation?. Here, FM80, uses birds as an example but fails to point out that relatively tiny birds, often can conceal themselves by simple leaves in a tree, and has nothing to do with a 500 lb x 4 foot wide x 8 ft tall bipedal hominid standing in your face. He would be kicked out of a court of law, if he used this type of example. This is not discussion. This is childish arguing using completely faulty examples that in the end, do not support his apparent position that invisibility either does not or cannot exist. Here, FM80 uses childish sarcasm and further isolated a single sentence in order to ruthlessly take it out of context. FM80, has most likely NEVER heard what are the normal forest noises at night, because that noise was moderated due to his very presence. FM80's attack is not mature discussion, as is required on this board. Yet he remains undisciplined by administrators, which tends to also prove that home town boys get preferential treatment. Here FM80, outright lies through his teeth, in order to concoct an insulting attack. He further claims that the scientific method was not used, when he has no idea what method was used because no detailed explanation was given. This is not discussion. This is childish and viciously antagonistic, and an insult to the intelligence of every reader to this board. There are many current books in print that qualify as both evidence and precedents, that specifically support the hypothesis that Bigfoot (and presumably Yowie) have the ability to disappear and reappear before your very eyes. Here are a few: The Psychic Sasquatch, The Sasquatch People, The Locals, Backyard Bigfoot, In The Spirit of Seatco, and Kultus. Furthermore, "X3" by Adrian Dvir, a book that describes how invisibility works and that FM80 claims is an obscure text, is now in it's 4th Edition. Apparently, the word is spreading about this book, despite FM80's attempt to discourage interested readers. In the States, I only see this level of viciously insulting and antagonistic propoganda, coming from paid scofics. Paid scoftics are hired to influence and control public opinion, by utilizing both internet chat rooms and the tactics you see on display above. Opinions on a board such as this, about a topic as controversial as this, sparking arguments pertaining to a subject without certainties such as this, is as fruitless as debating religion or politics and serves to no end. Not worth getting upset about. Some of our opinions are left wing in an already left wing field – either accept criticism on the chin or provide substantial and well understood basis for your views without provoking insult on either side. Hail the yowie. themanfromglad wrote: "]The Fred Beck story and the Mt. St. Helens Ape Canyon, describes footprints that appear in the middle of a large sandbar, with no trailing coming or going from those prints. I don't find either of those stories themselves very credible, but as to footprints/trackways that appear to start and stop in the middle of nowhere, this does seem to happen. I found some large 4 toed tracks in the bush once that seemed to do just that, start and stop in a way that whatever made them must have appeared out of thin air, made the tracks and then disappeared back into thin air. Unlikely to have been faked by someone, possible though I suppose. Also noises that seem to indicate something reasonably large (from the occasional sound of twigs/litter cracking with footsteps) that is trying to be quiet, that always keeps same distance and same relative position. Walk towards it, or away from it, doesn't matter. Try to flush it out and it just goes silent for a while. Move off again and it's back. Noticed a very strong "burnt electrical" smell in the same vicinity one time as well. It also just seemed to appear, I looked around for some time but couldn't find a source, then it just stopped. Never have found a cause for that. So I don't necessarily agree with your conclusions themanfromglad, but I can see what you are basing them on. Holy heck manfromglad, take it easy. Why do you think I am a 'he'? Anyway, that's beside the point. Apologies to the forum users that are probably sick of the back and forth between me and the gladman, but I feel I have to respond publicly to 'his' last post. Firstly I must tell you I am not a 'paid scoftic'. Hate to disappoint you and your ideas of corruption/conspiracies but my posts are nothing more than another human being interacting with you, for free, in my own time. But thanks for the compliment, I can get paid to do this???!! I aplogise manfromglad if you consider my interaction with you on this forum is a bad thing in some way. I don't know how else to say that I am attacking your beliefs, not you personally. I hate cancer, but I don't hate people who have cancer. Same deal here. I haven't been 'disciplined' by anyone yet, and if I do, so be it, but I don't see what I would be disciplined for. I mentioned earlier that I am quite within my rights to be in this area of the forum. There's no preferential treatment going on here, I have actually never met the moderators of the forum, by now they probably hate me just as much as you do! As far as I can see, all I have done is asked you questions about your beliefs. Yes, I have used sarcasm sometimes to prove a point, but I never intended it as a personal attack on you as a person. I have also provided alternate explanations of what you consider 'paranormal', but you see that as being belligerent and antagonistic. The books you have listed mean nothing. We don't believe Harry Potter is a true account of natural laws do we? And as far as a book you ascribe to being in it's 4th edition, that does not make it any truer. I mean how many editions must the bible be in now? And if you are a Muslim, Hindu or Jew you would regard the christian bible as atheistically as I do. Point is they are no substitute for peer reviewed publications. And that's the other thing, if you present your beliefs on a public forum, you will be challenged about them. If they don't stand up to criticism, is it our fault or do your beliefs need tweaking? You say 'scientists' are basically hamstrung when it comes to your way of thinking, but perhaps they are challenged more rigorously than I have ever challenged you and they accept that without evidence or precedence that they are probably wrong?" That's the best thing, people challenge other peoples beliefs and that process should weed out the chaff so to speak. If you could show evidence of some sort, or make any kind of sense, you could win a Nobel prize, there's nothing stopping you but your inability to back up your claims/beliefs and that is not my fault. I mean I could get on this forum and present the idea that yowies wear roller skates. Would you ask me to explain that claim? Provide evidence? Of course you would (I'd hope so anyway!). That's what I'm doing here. Just quickly, you seem ok to say that a bird can hide behind leaves but a 500 lb bigfoot? No way! But you seem content to believe that they can disappear to other dimensions that are the size of subatomic particles! I have never discouraged people from reading the books you mention, to me you seem very paranoid about the whole thing. And you obviously have a low bar set when it comes to 'evidence', those books aren't evidence! My promise to you, manfromglad, that is if you ever provide evidence, good evidence, evidence that has been backed up by data etc., to support your theories, I'll be 100% on your side. That's what it boils down to, nothing personal, no deep seated hatred of the paranormal, no conspiracies, just a healthy respect for the truth, a reason to believe. I base my beliefs on reality, not the other way around. To debate and to question is to be human. We are all entitled to our opinions and believes here. That's what I like about this forum. I will say this, if your wrong, you better own it or you will be exposed here. Before a theory becomes fact, it must be proven by being scientifically repeatable. Through documentation, others can then view the results of the repeated experiments. Unfortunuately, something that is "visual", cannot easily be assigned numbers. And something that is "invisible", by definition cannot be documented using photography. Therefore, unless you own that same multi-million dollar holding cell that Lawrence Livermore National Labs does, you are not going to be able to document a scientifically repeatable experiment on invisibility. The only choice you have is to attempt to repeat the experiment in the field. I have described how to use very sensitive microphones to monitor an area in which you can also clearly observe. To my knowledge, not one single Australian, and especially not FM80, has attempted such a scientific field experiment. As you will note in FM80's most recent post, FM80 attempts to justify her repeated bad behavior by making a further demand that I specifically provide what is impossible, in order for her to concede any validity to my claim. Otherwise, she implies that she is totally justified in using her bad behavior. In law, a contract based on a pre-existing impossiblity, is void from the outset. Therefore, FM80's demands, are void from the outset as she is apparently completely oblivious to the definition of "invisible", and the difficulties in documenting something that cannot be either seen, photographed or documented, only experienced. I have supplied the simple instructions for proving the theory to herself, or yourself. I have fulfilled my duty to the fullest extent that is possible, under the circumstances. I cannot hold your hand and lead you through it. The blame for FM80's failure to receive the experiential evidence, lies squarely on FM80 for being too lazy to undertake such an experiment. Lazyness is no excuse for ignorance. Nor is it a license to hurl lies, insults and sarcasm. I'm sorry to say themanfromglad is that with all your posturing and and unverifiable statements which you cannot back up, you have yourself negated your own argument. I am sorry but in my opinion you lost this one, and your only making things worse for yourself with personal attacks. I think it is time that you think outside your square and see what science and an open mind can come up with some valid explanations.